Mary and I are thrilled that moss+ross is celebrating its 10th anniversary this month, and we just have to take a few minutes to reminisce about the journey. Over 10 years we have helped build shelters, schools, cathedrals, synagogues and museums; stabilized reserve funds and helped nonprofits merge; conducted assessments and written strategic plans; launched new initiatives and helped others reboot; managed dozens and dozens of searches and placed many interim staff members along the way. We have worked on campaigns from $600,000 to $4.2 billion, and we still get excited when our clients get a big gift or cut a ribbon or hit their goals. 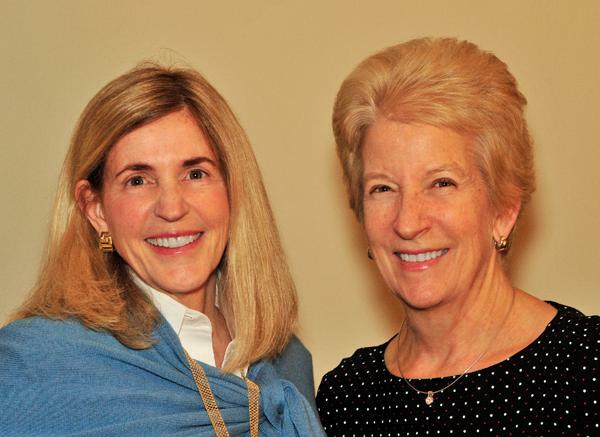 moss+ross grew out of a shared vision to strengthen the capacity of our nonprofit community. We felt we could make a difference in this region with an expanded use of the skills honed as development professionals for respected educational institutions we loved. 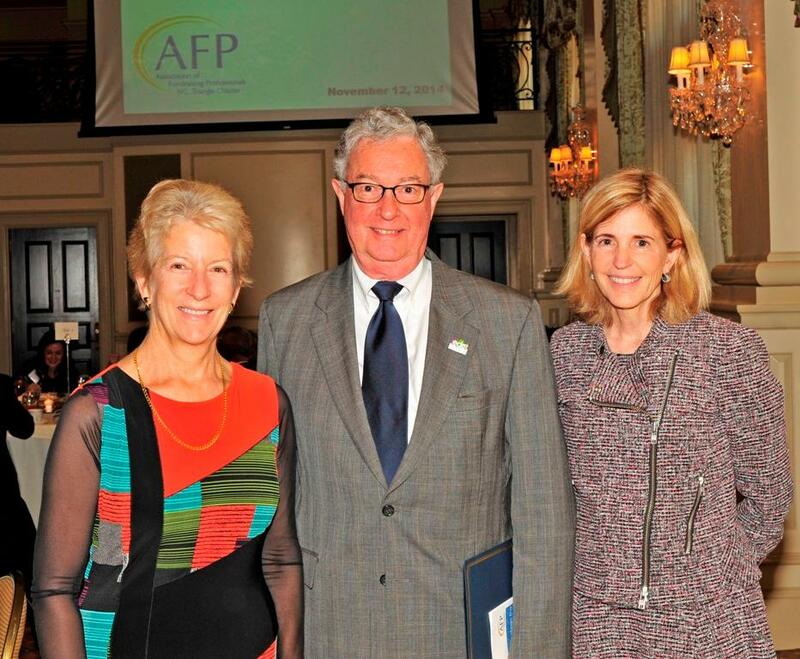 Mary and I wanted to keep our hands in education, both higher ed and independent schools, but we also felt we could contribute to the growth of the community in which we’ve lived all our lives – specifically, the nonprofit and faith communities in Raleigh, Durham and Chapel Hill, on whose boards and committees we had served over the years. We understood how hard their staff and boards work, and how difficult it is to take on something bigger or different, particularly fundraising campaigns. And we knew how important it was to get it right. Looking back, we had a nontraditional start. We had made the decision to go out on our own as an LLC just before the economy tanked in 2008. There we were: ready to run the campaigns that no one was conducting. However, we employed what would turn out to be our firm’s core values: creating opportunity, staying flexible and investing in each client’s success. We found other roles to play in strengthening the skills and operations of area nonprofits during those early years. Along the way we built our team of 18 associates — talented professionals who have joined us from a variety of career paths and who share our commitment to creative and resourceful service to clients. Plus, we have had a lot of fun along the way! Over time, as the economy recovered and the pent-up need for funding meant the campaigns did eventually get underway, we were ready to roll with a larger team and broader consulting experience. As we start our second decade, we have done our own strategic planning and will be rolling out our plans in future newsletters. 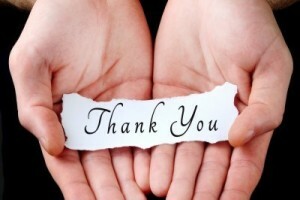 For now, we just want to say thank you to our 169 clients, our 18 associates (plus a handful that have retired or moved on), and the affiliate contractors involved in our newest venture, m+r interim solutions. It has been a wonderful journey, with many more chapters to come. moss+ross is proud to work with nonprofit partners who are on the ground in Florence’s wake. Our work with clients in the nonprofit sector inspires us every day, and never more so than in the past week as Hurricane Florence has affected our region. We appreciate the expertise and dedication of the agencies involved in relief efforts, and the compassion and caring of the staff and volunteers who step up in times of need. As Mr. Rogers said, when you see scary things in the news, look for the helpers. This special post highlights a few of our current clients who serve multiple counties in Eastern NC and are on the front lines of relief and support. We know many of our clients are marshalling resources, setting up collections and planning ways to provide ongoing support to the long term needs of recovery. We’ve seen the impact this past week – major events cancelled, services rerouted and volunteers deployed. We salute you all, and stand ready to help where we can. The Episcopal Farmworker Ministry serves migrant and seasonal farmworkers in Eastern NC farm communities that have been heavily impacted by the storm. See the news article below for more details about their work and information about getting involved in their relief efforts. Catholic Charities of the Diocese of Raleigh provides services in the 54 most eastern counties in North Carolina, and serves people of all faiths or no faith tradition. They are working with families affected by the storm to meet their immediate needs and help them recover and rebuild their lives. See Catholic Charities Disaster Relief Services for information on how to help. SECU Family House at UNC Hospitals serves patients and families from throughout the state, with most guests coming from areas affected by the storm, as shown in this impact map. This client is serving families experiencing storm recovery on top of their serious illness, and support for their mission supports families throughout NC. Our firm has made donations to these causes, and we know many other clients, particularly those in humanitarian and faith organizations, are coordinating collections, volunteers and fundraising efforts. We encourage you to support them in any way you can. On a typical day, the Episcopal Farmworker Ministry visits a number of camps in Eastern North Carolina where migrant farmworkers live and work harvesting crops and tobacco. Usually, the Ministry provides support in the form of clean clothing (free of pesticide exposure), heavy duty work gloves (to prevent Nicotine Sickness), and water bags to those too far in the field to access water. They provide ESL classes, immigration services, hold a Sunday worship service for the farmworker community, and much more. But these aren’t typical days. Hurricane Florence has been here with her unprecedented amount of rainfall and flooding. The areas in Eastern North Carolina served by the Episcopal Farmworker Ministry were hit hardest and are surrounded by local rivers, now overflowing their banks. The focus of the Ministry these days is that of recovery and support. Some camps are flooded and workers are stranded without food until the water subsides. Many workers are in shelters where they need food, water and sanitation supplies. As the days and weeks go on and the area starts to recover from this devastating storm, the Ministry will go back to its usual day job – that of providing direct services to the farmworkers who help put the food on our tables. If you would like to help this great work continue, please click on the donate button or send a check to the Episcopal Farmworker Ministry, P.O. Box 160, Newton Grove, NC 28366. If you would like to volunteer, please contact Lariza Garzon at lariza.garzon@gmail.com. Your donations are so appreciated year-round as the Ministry supports the farmworkers, but especially now! Thank you! When we started moss+ross in 2009, we made a strategic decision to define the Triangle and surrounding region as our service area. As we thought about our ideal nonprofit clients and the difference we wanted to make, staying local made the most sense. On November 28, many of us will shop at our favorite local stores in support of Small Business Saturday. As one of these businesses, albeit without a storefront, moss+ross is grateful to you, our clients, for shopping locally for the best nonprofit strategic planning and development counsel. We couldn’t be happier with the result of our local focus. 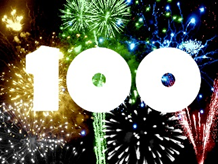 To date, we have partnered with 106 clients, many of whom have hired us multiple times. Our clients enrich the fabric of our community, and we are grateful for our partnership with you! 1, 2, 3, 4…it takes a lot of work to get to 100, and we did it! 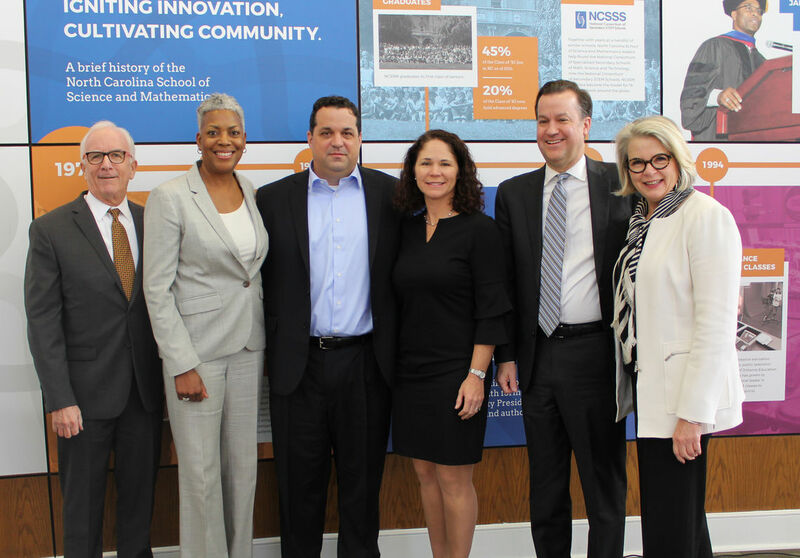 moss+ross is pleased to count 100 clients in the Triangle, and beyond, as our partners as we work together to make our community even better! Client organizations represent every aspect of nonprofit work including: arts, culture and humanities, environment and animals, health and human services, education, and youth services. We truly love working with you all, every minute of it, even the late night and early morning minutes, and we look forward to continuing our relationships with you and welcoming additional organizations to the m+r family. Thank you for the work you do to make our community great! 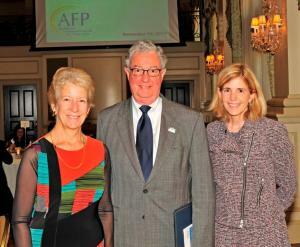 Mary and Susan were honored to host Barker French and David Reese from East Durham Children’s Initiative (EDCI) at our table for AFP’s National Philanthropy Day on November 12. Barker represents the very best qualities in a fundraising volunteer, and we were proud to nominate him for the Outstanding Volunteer Fundraiser recognition. Barker has a passion for working with the poorest children in Durham. In 2008 he envisioned a community partnership similar to the Harlem Children’s Zone with the goal of preparing East Durham’s children for college or a career. As a result of his hard work and vision EDCI was launched in 2009 with a mission to create a pipeline of quality services for children and families in a 120 block area of East Durham.